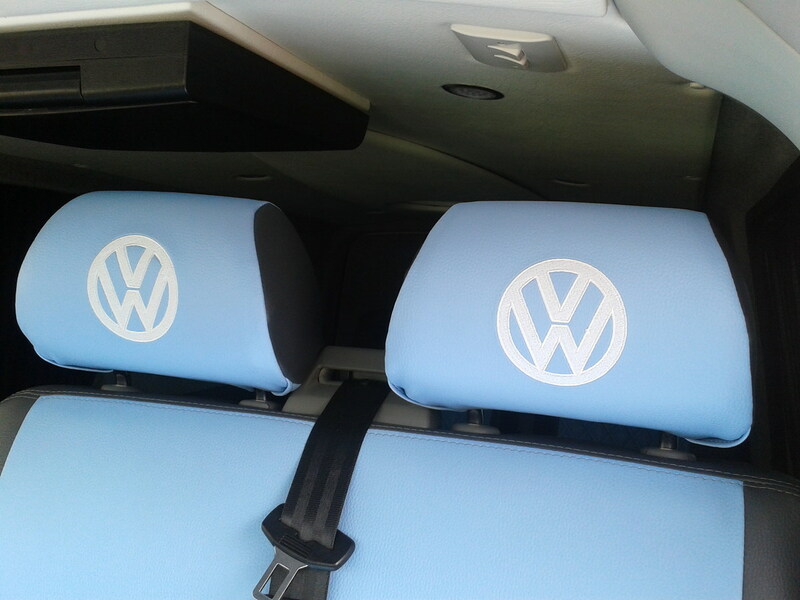 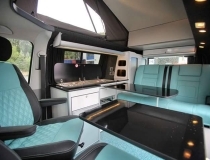 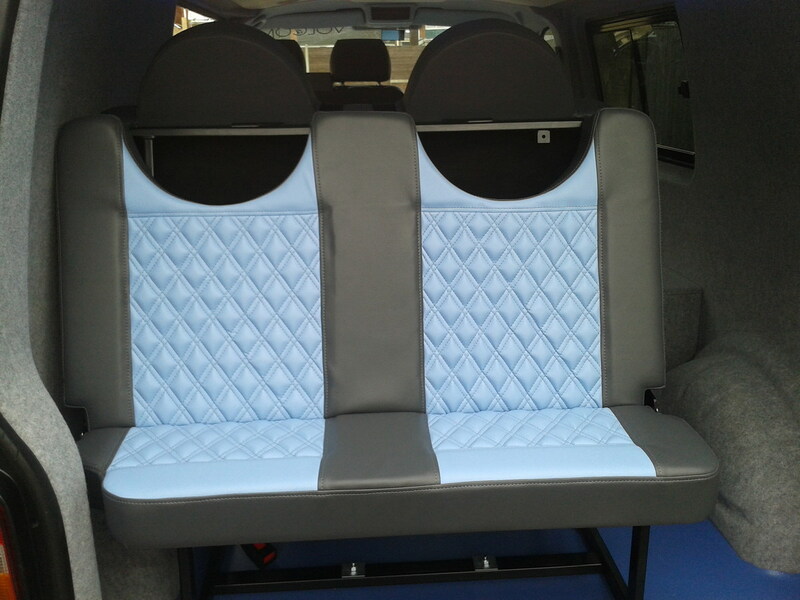 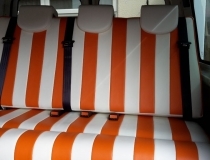 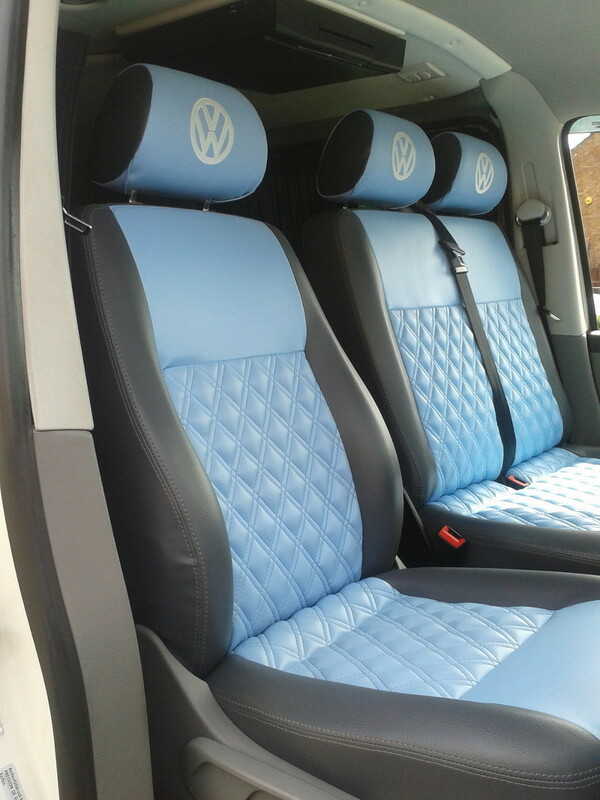 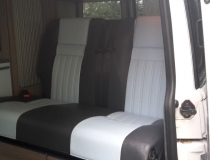 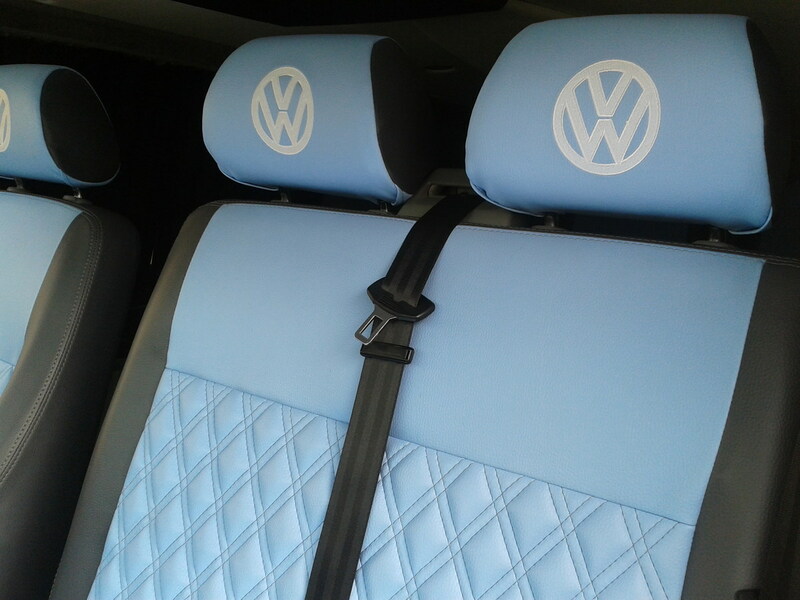 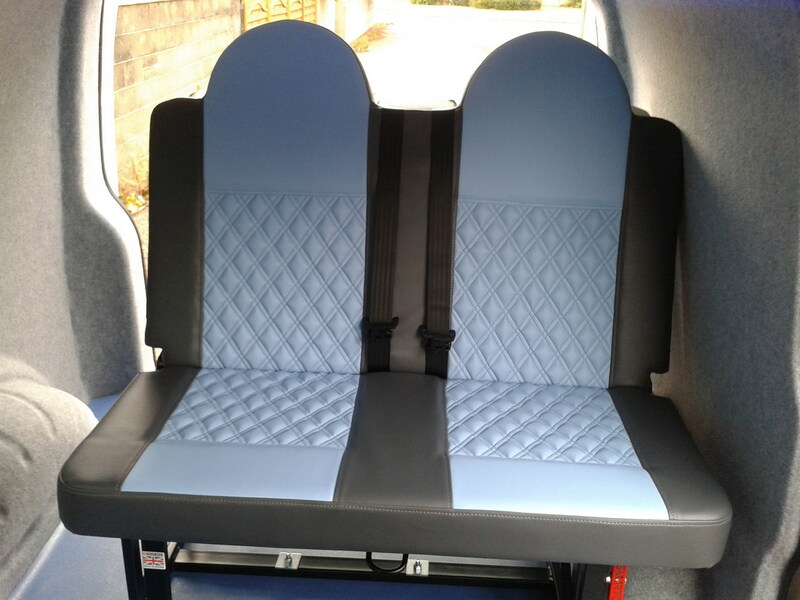 Volkswagen T5 front single seat and double bench, re upholstered in grey with blue Vinyl Bentley Diamond stitched centre panels. 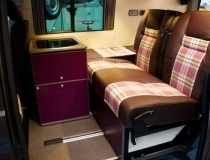 The rock and Roll Bed has been upholstered in the same material, with custom shaped foam headrests. 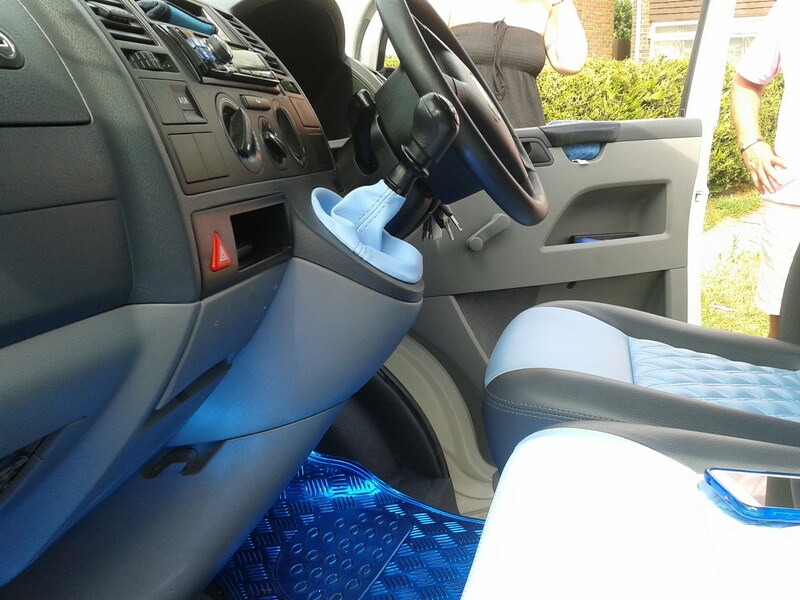 The finishing touch is the colour coded gear stick gaiter.